Current approaches to digital identity all fall short. Either they violate privacy or they are easy to hack. To form a distributed community on the Internet we need both identities and trust. 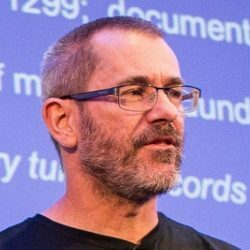 For Bitcoin Wednesday on 7 February 2018, Ian Grigg will give a presentation on how to build trust-deep community structures that provide identity. Shared ledgers, triple entry, proof of work, smart contracts, social reputation systems… all had their airing in the 1990s. Yet we were all independently “too early” which is basically a poor excuse for not quite cracking the problem. Ian Grigg is one of the pioneers of financial cryptography. He is the creator of the Ricardian Contract, a secure approach to registering the intent of a legal agreement in a system like a work a work of software. He also co-invented triple-entry accounting, an early form of shared ledger like that used in today’s blockchains.